VILNIUS, Lithuania -- President of the Republic of Lithuania Dalia Grybauskaitė received Chairman of the Verkhovna Rada of Ukraine Volodymyr Lytvyn, who is currently in Lithuania on a working visit. 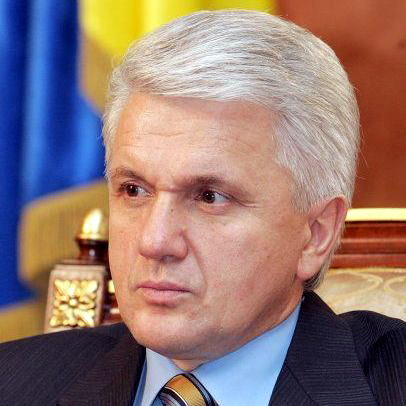 Chairman of the Verkhovna Rada of Ukraine Volodymyr Lytvyn. Underlining the traditionally close relations between Lithuania and Ukraine, the President urged Ukraine to demonstrate more efficiency in pursuing euro-integration reforms. The President expressed hope that the ongoing misunderstandings in Ukraine about its Constitution would be cleared in a transparent and democratic manner and by involving all parties concerned. "Ukraine is an important partner of Lithuania and the European Union. We support the Europe-bound path chosen by Ukraine and hope your country will continue following this path and will successfully implement the required democratic and structural reforms. Lithuania is ready to help and share its euro-integration experience," President Dalia Grybauskaitė said at the meeting. According to the President, Ukraine's trade with Europe accounts for one-third of Ukraine's overall foreign trade, and for this reason alone, Ukraine should be interested in maximally close integration with the European Union and successful negotiations for a free trade agreement. Noting that international business companies were highly interested in cargo transportation between Klaipėda and Odessa Seaports by a shuttle-train "Viking", the President underlined this would open up vast possibilities to increase cargo flows between the Baltic and the Black Sea regions. But, the President said, over-lengthy and complicated customs procedures in Ukraine are an obstacle. According to the President, if customs' work is made more efficient and more stations are established in other Ukrainian seaports and are subject to special tariffs, the opportunity to increase shipments by the shuttle-train will be real.